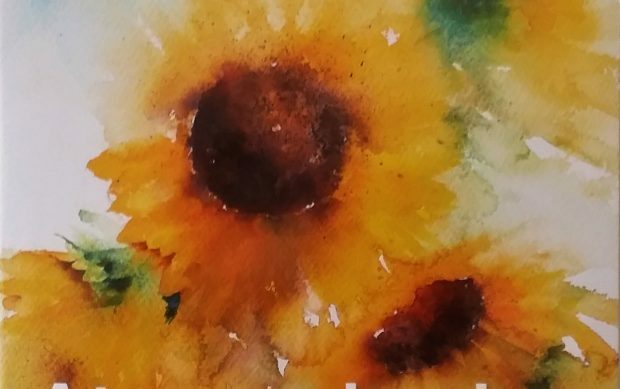 ‘Atmospheric Flowers in Watercolour’ by Jean Haines is a recent publication that inspires expressive interpretations of flowers from direct observation and photographs. 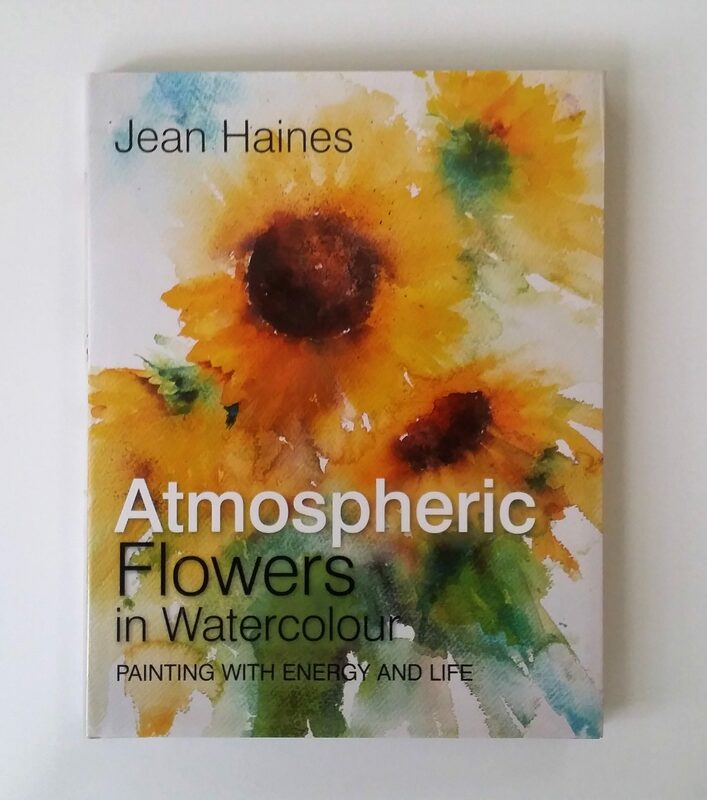 This review by Lisa Takahashi explains why Jean Haines’ experience and passion for painting is so effective. 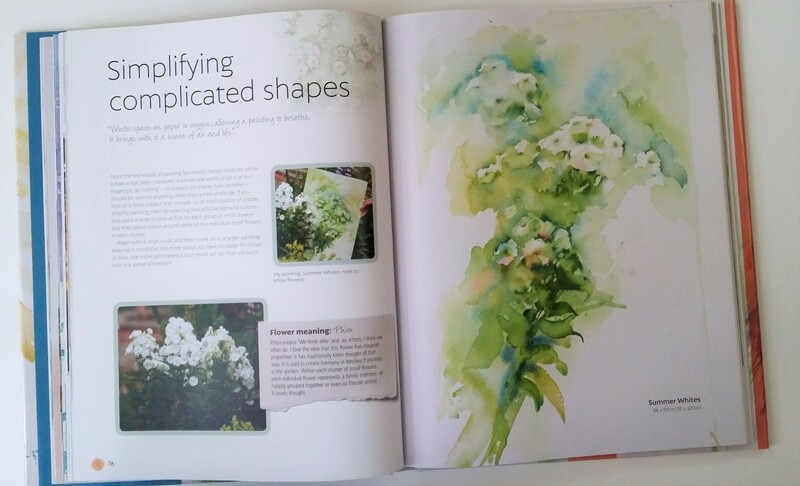 The book is highly motivating, packed with practical tips to explore the true breadth and potential of watercolour painting. ‘Atmospheric Flowers in Watercolour’ is a book that the artist has wanted to write for a long time. It is a celebration of the joy of painting flowers. 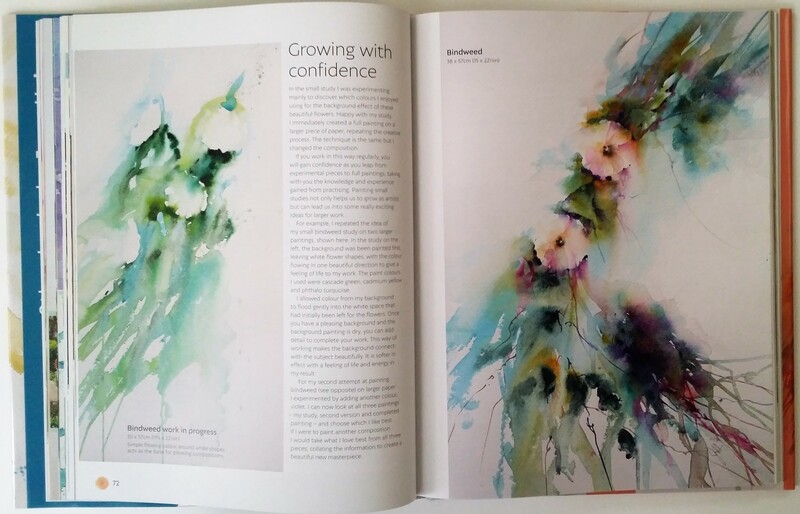 It also gives insight into how Jean Haines achieves her unique and expressive painterly techniques. 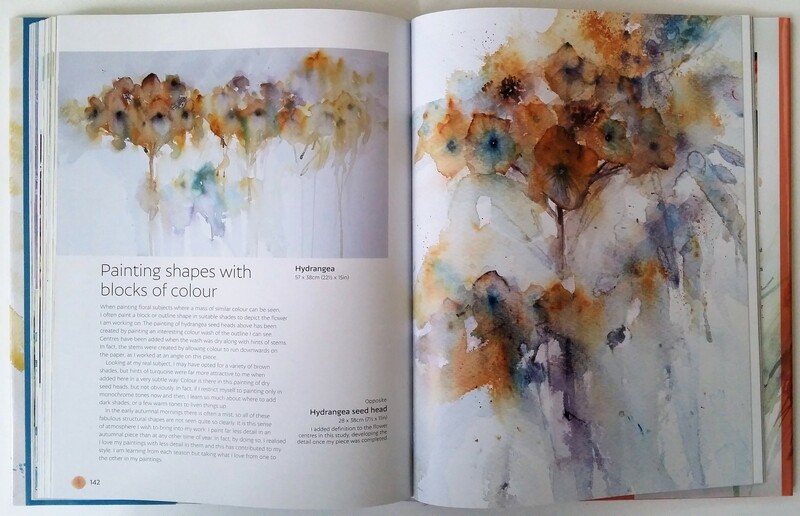 The book is currently available as a 176 page hard-back book that is beautifully laid out with many illustrations of Jean Haines’ exciting work. For those unfamiliar with the work of Jean Haines; her style is loose and exuberant. She is not afraid to let the paint run and allow colours to burst. She adds subtle detail to very fluid looking initial washes to give the work focus, leading your eye to where she wants it. Her gift lies in combining a love of the subject with her love of paint. She knows where to strike a balance between the two, and this is very much reflected in how she has approached the writing of this book. Her book is divided into 5 main sections – ‘What We Need’, ‘Seeds of Ideas’, ‘All Things White and Beautiful’ ‘Seasons of Life’ and ‘The Journey’. 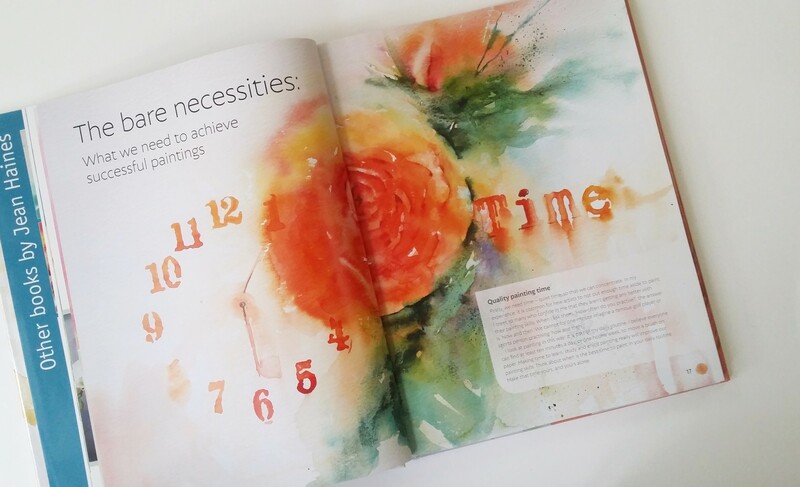 In ‘What We Need’ Jean Haines goes through the essential tools for painting – both in terms of materials and attitude/state of mind. There are some really interesting tips. These include using a piece of watercolour paper to mix colours on to rather than a palette, and discussing just how much water is the right amount to mix into your paint. She also goes into colour matching, what brushes to use and her favourite paints. As someone who hates waste I also love her encouragement to keep hold of scraps of paper for painting experiments! All really useful information, simply stated and beautifully laid out. In ‘Seeds of Ideas’ Jean then starts to investigate where ideas come from and how they can be developed. The chapter is full of encouragement to explore, play, and enjoy the process of investigation. There is a sweet Step-by-step instruction of how to paint Violets. It’s ideal for beginners and serves as a great way to follow in the author’s footsteps. By doing the project you really get a feel for how loose you can afford to be with your painting. Following the exercise is an illustration of how Violets can be painted a different way. This epitomises a key theme running throughout the book – that there are infinite ways to paint a subject. Half the fun is choosing how you are going to paint yours. After this exercise the book presents a series of considerations and how these might benefit your practice. These include painting in monochrome and adding other points of interest to your painting (such as insects). She also covers knowing when to stop painting and how to portray white using a ‘negative painting’ technique. These are presented as demonstrations with excellent close up photos of the stages. You could give them a go yourself or just take a look and absorb it as food for thought. 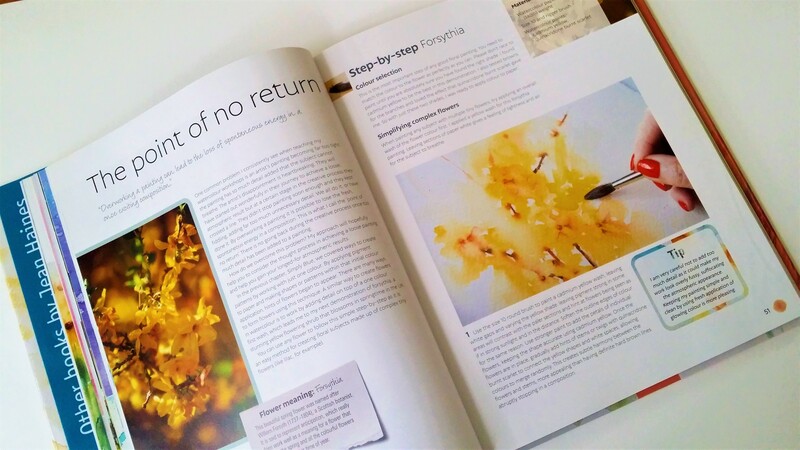 I really found the ‘The Point Of No Return’ section with a step by Step Forsythia project fascinating. I consider Jean Haines to be a pro at knowing just when to leave a painting so that it is at the very edge of representational painting and abstraction. The results are so effective. Jean Haines spent time in China learning Chinese painting techniques and I sense that this has influenced this aspect of her work profoundly. She takes a meditative approach to observing when to place a mark on the paper and when to leave it. In ‘All Things White and Beautiful’ Jean goes further into when to paint and when not to paint. She presents a number of ways to paint white flowers, all of which involve leaving the white of the paper. This ensures a degree of luminosity with the work. For me this can feel counterintuitive, because when I draw or paint something in front of me it takes a lot of mark-making to find the subject and my relation to it. In this book Jean encourages a more measured and courageous approach which I am now itching to try. 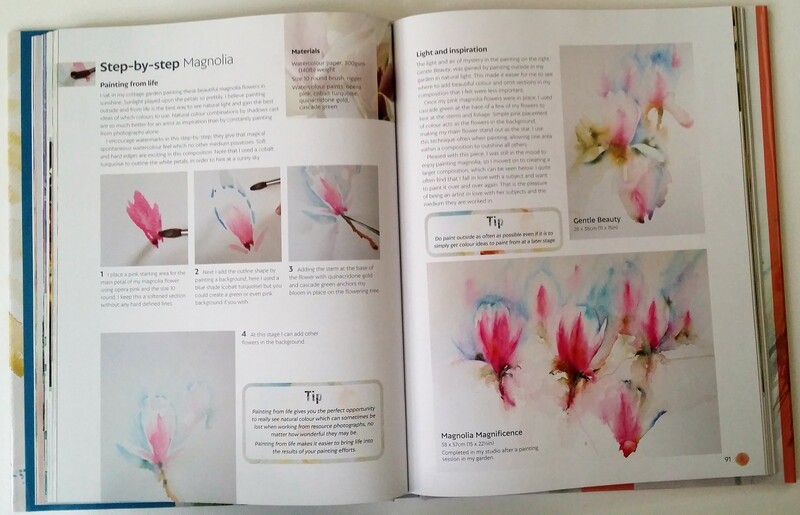 ‘Seasons of Life’ is the real meat of the book – where Jean goes through each of the seasons and demonstrates a way of painting flowers to be found at each time of year. There is a mixture of step-by-step projects and demonstrations of her own work. These are accompanied by passages addressing composition, paint handling, and mark-making. It is as if Jean is painting and then an idea pops into her head which she wants to discuss with you. The result is that there is a lovely informality and honesty about how she imparts her knowledge and enthusiasm for watercolour painting. 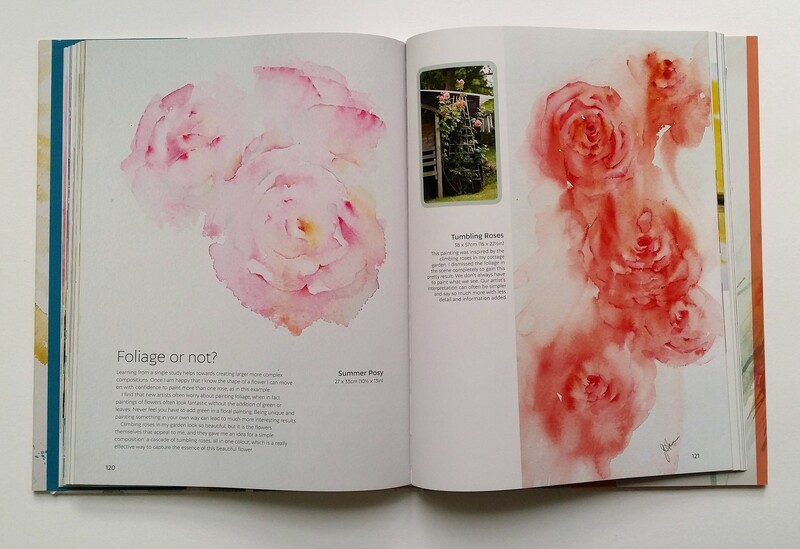 I particularly like her pages describing painting summer flowers such as roses and sweet peas, which are so beautiful and understated. The final section of the book is ‘The Journey’. Here Jean Haines hints at how you might take steps away from her suggestions to further establish your own creative voice. 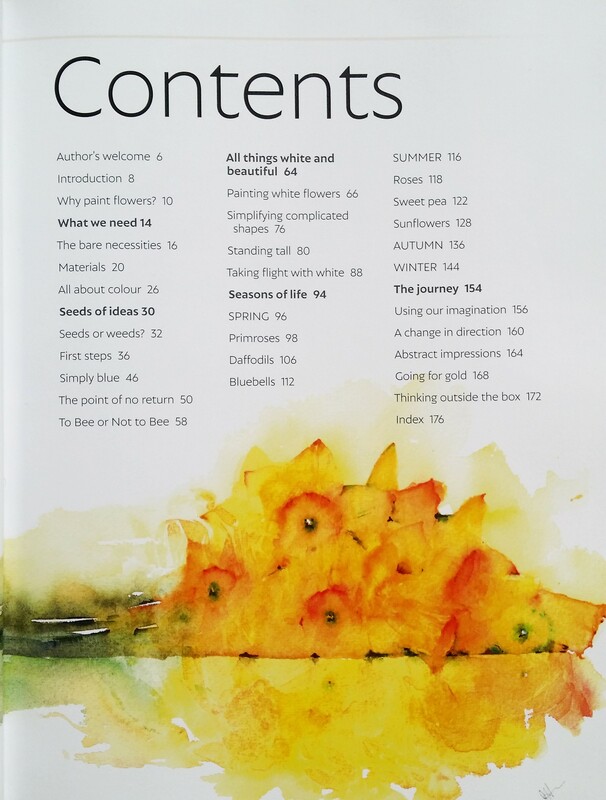 With headers such as ‘Interpretation’, ‘Painting with Soul’ and ‘Abstract Composition’, these pages encourage the reader to keep taking risks. 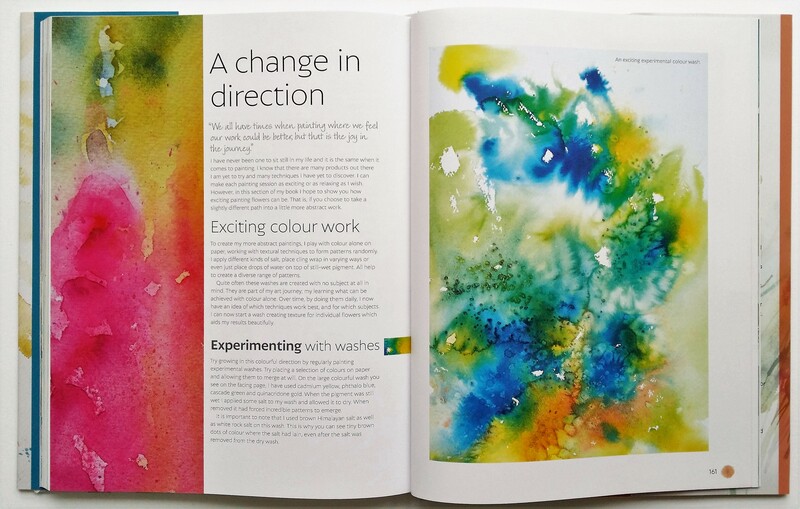 Play with paint, make experimental abstract washes just to see how they look and work out what you like and dislike. I love Jean Haines’ approach. The book is full of the passion she has for painting. Her enthusiasm doesn’t prescribe how we should paint at all. It hints at ways we might tackle a subject but always goes on to say ‘but you could do this as well’. It serves to open our eyes to just how limitless painting in watercolour is. There is no right or wrong way; and mistakes are experiences to learn from. The beauty of this book is summed up in a quote by the author in the first chapter. ‘I am not really aiming for ‘perfect’ paintings. Instead, I aim to capture my favourite subjects and show them full of life, atmosphere and containing a terrific sense of energy or mystery. My goal is unique results’. If this is what you desire in your own work, then I thoroughly recommend you check out this book! Jean Haines’ ‘Atmospheric Flowers in Watercolour’ is available from Jacksonsart.com.